At Colocation America, we believe that to truly connect businesses and clients, you need to connect with the community. After all, It’s All About Connections…. Based on our company’s strengths and the ways in which our business connects us to the community, we focus our outreach and social investment efforts on technology innovation, educational growth and encouraging team members to go out into their community and volunteer their time. Being a responsible business is integral to our success. Colocation America is committing more and more effort into creating a lasting, positive change in our community. We first started our Corporate Responsibility Initiative years ago by getting involved with the technological innovation of open source systems. 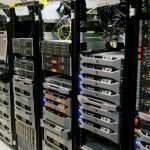 By donating colocation and dedicated server hosting services to various Open Source Projects, we have been able to directly support the development and distribution of these cost effective technologies. The technology developed by these communities, and made capable by our services and others like us, help aid in the advancement of the open source development industry. Currently we donate servers to the following Open Source projects: CentOS Project, Fedora Project, GeeXboX, and MEPIS. Through our work with Open Source Projects, we have had many conversations with young people who want to get involved with developing technology. Unfortunately, the young people we talk to do not have the educational backing to adequately prepare them for the job market or even to volunteer their time in developing software and/or other technologies. To combat this issue, Colocation America partnered with YouthBuild Charter School of California (YCSC) to help students learn how to code and, even, develop websites for businesses in their community. 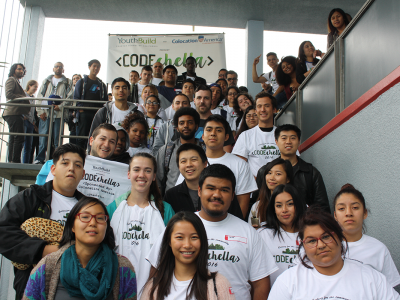 The partnership has grown since its inception in 2013, YCSC now hosts a 12-hour coding event called CODEchella. CODEchella is the culmination of a week of intensive classes in HTML and CSS coding, designed to help fifty YCSC students learn skills that will translate into marketable job skills. The students are from various YouthBuild Charter Schools in Southern California and to work in teams with a mentor from a local tech company to build a site for a local business in their community. In addition to CODEchella, Colocation America established a science, technology, engineering, and mathematics (STEM) grant to provide the educational background needed for young people wishing to enter the STEM workforce of the future. The grant is designed to inspire interest in STEM education among K-12 students, the initiative supports hands-on learning opportunities that encourages the youth of today to understand and embrace the technology that affects their everyday lives. Four to ten grants of up to $7,500 are available to be awarded to nonprofit charitable organizations classified as a 501(c)(3) public charity and K-12 educators with STEM programming for their new or reoccurring program. Check here to see the 2015 Colocation America STEM grant recipients. We are always looking at new ways to get involved in our community. Have an idea? Email CSR@ColocationAmerica.com and tell us about it!